This page is going to be a work-in-progress as I add more details and decide which, if not all, the components to make open source. 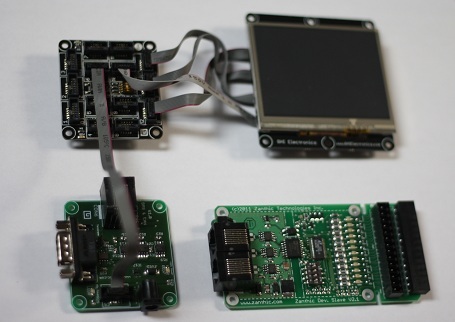 This project builds on my existing LTC6803 BMS slave boards that are running a differential SPI bus and communicates with them through a custom built driver board that is designed to work with the Gadgeteer system. 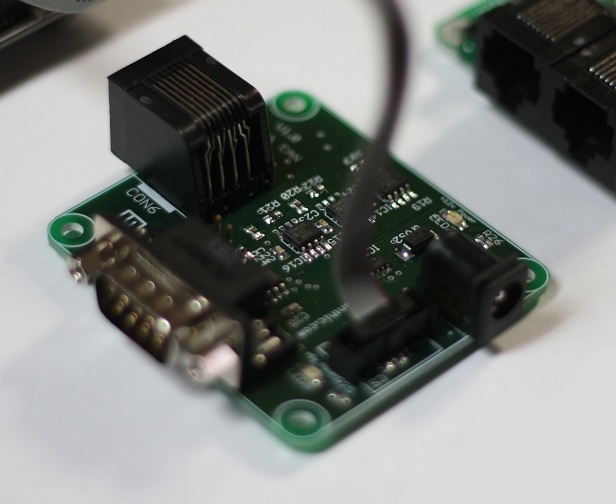 The custom interface provides both a CAN driver to a standard D-9 connector and an RJ45 connector that can communicate with up to 16 of the LTC6803 Slave boards. Software written in C# under the Visual Studio environment automatically finds the Slave boards and can poll them for cell voltage and temperatures and provide control over balancing circuitry. Interrupts will call user code should an error occur and will also make periodic calls to provide updates to the cell information. The Gadgeteer compatible Spider board was purchased from GHI Electronics (see link below) The board in the lower right is my LTC6803 Slave board that has optically isolated differential communications to the driver board and up to 15 other slave boards in a "daisy chained" fashion. The connectors on the right provide connection to 12 series lithium ion cells with either low current internal balancing or higher current external balancing. A close up of the custom built interface between the Gadgeteer board and the CAN and BMS network. 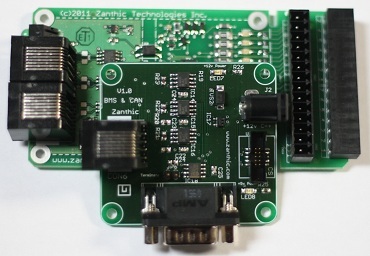 The CAN network uses a standard driver IC and the BMS network uses differential drive circuitry to improve the noise immuniuty of the SPI bus used to communicate with the LTC6803 Slave boards.